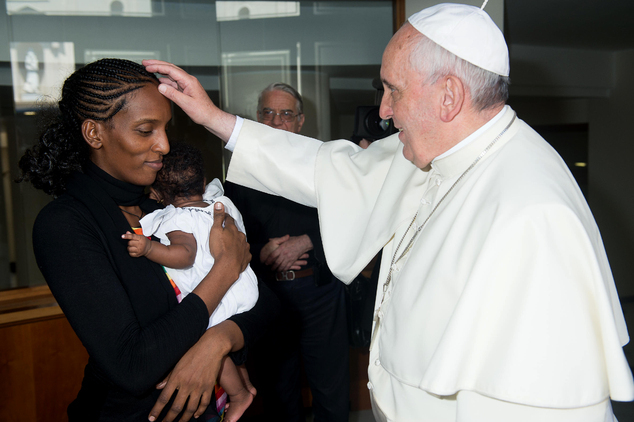 The woman who was jailed in Sudan for being a Christian finally arrived in the US tonight after her 10 month nightmare amid joyous scenes of jubilation. 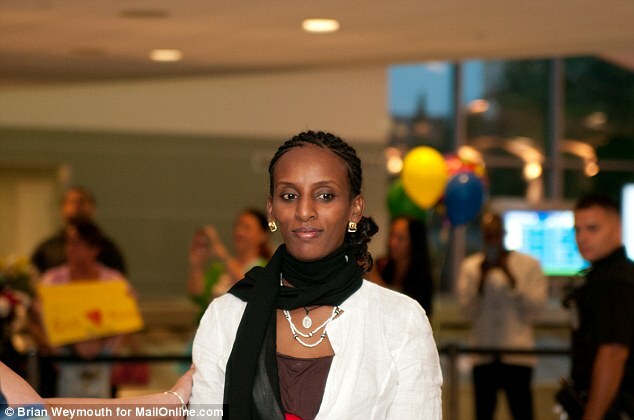 Meriam Ibrahim smiled and hugged her supporters as she landed in Manchester, New Hampshire and told a friend: 'Don't cry, I'm here now'. Friend Maria Ajang said: 'She was so happy. She said: 'I'm so happy to see you guys here'. 'I was crying and she told me don't cry, I'm here'. 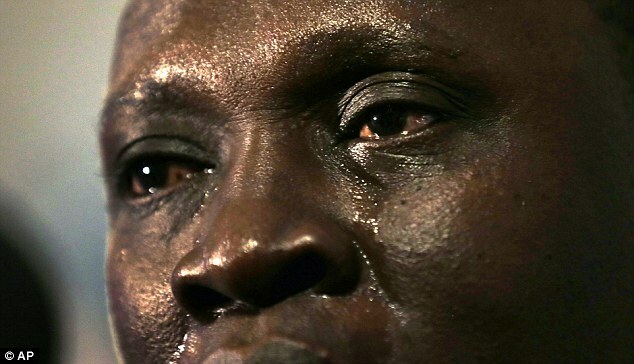 Her husband Daniel Wani sobbed uncontrollably and said: 'It's good to be home. 'There's a sense of relief. 'I want to thank everyone who helped get us home'. 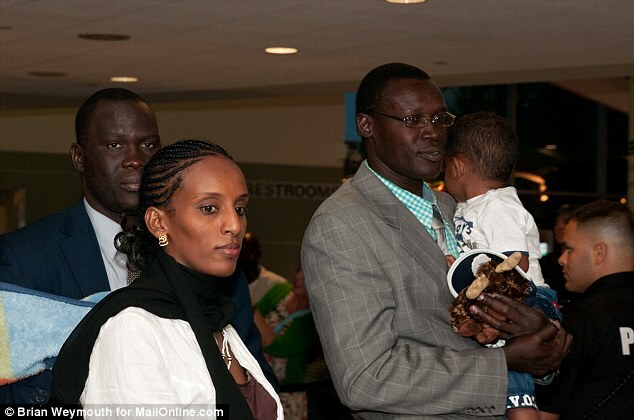 Meriam and Daniel walked into the baggage area at 8pm with his brother Gabriel holding their son Martin, 21 months, and a friend holding baby Maya, who was born whilst Meriam was in prison. 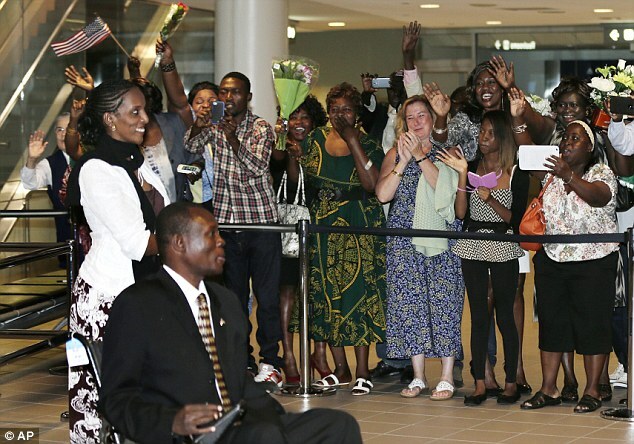 A crowd of 30 people including a nun and a number of Sudanese women in traditional African dress turned out at welcome them home holding signs which read: 'Welcome home Ibrahim family - God bless you'. 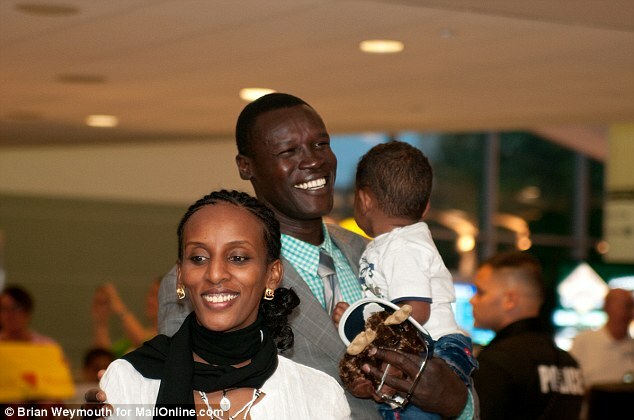 Meriam hugged and shook them as they broke into chanting, tears streaming from their eyes.